1947. A young Doctor Faraday (Domhnall Gleeson) visits the ramshackle Hundreds Hall to attend to a servant girl who is claiming to be ill. However, strange things are afoot and Faraday soon becomes embroiled in the closed off world of the Ayres family that live there: the stern-faced matriarch; Roderick, a disfigured war veteran; and his can-do, no-nonsense sister, Caroline. 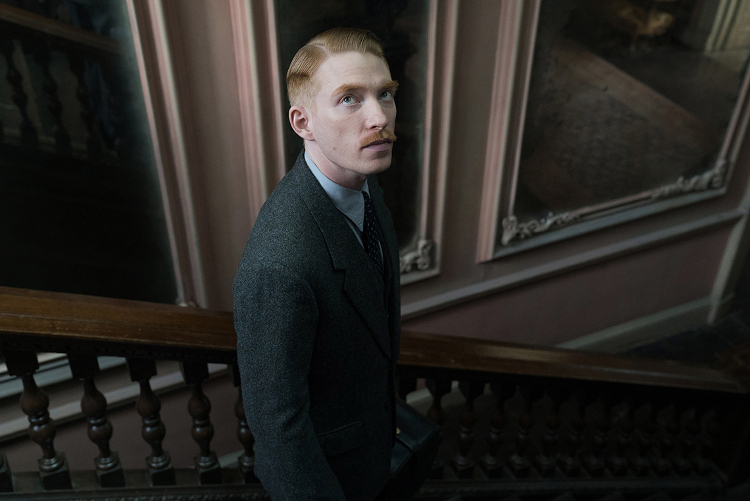 Based on Sarah Waters’ novel, The Little Stranger is as much about the demise of the aristocratic classes after the war as it is a ghost story, and those that are expecting outright scares might leave disappointed. Like the book, the film is an altogether quieter affair. Its set during a period that, as we all know, was steeped in change, post-war. No longer able to afford the upkeep of Hundreds given the change in their fortunes, Roderick has sold some of the estate’s park land off so that a housing estate can be built; while Caroline, it could be said, has also opened the park to the lower classes, allowing Faraday to use the grounds as a short cut for his calls. Meanwhile, the impending arrival of the National Health Service is causing quite a stir among the local GPs, with Faraday (below) and his colleagues wondering if their days are numbered. All this social commentary bubbles away nicely under the surface. Meanwhile, the supernatural shenanigans in the house and to what extent they might be the imaginings of the increasingly traumatised household, winds its course with a number of progressively alarming incidents. These are unlikely to cause a popcorn spillage but there’s certainly a sense of pervading dread that slowly and effectively builds. For anyone that already knows the story it’s a safely played adaptation in both tone and pace. But, as with any long novel, there have been necessary cuts – some that will be barely noticed by the book’s fans, while others might jar. Roderick’s storyline, for example, is skipped over all too quickly and, just when it’s getting interesting, in favour of the will-they-won’t-they narrative that keeps Faraday and Caroline centre screen throughout most of the film. The characters though, so rich in Waters’ novel, are rather a mixed bag. As the story’s narrator, Faraday is more complex than he first appears, but Gleeson struggles to bring much life to him in a role that is necessarily sterile and distant, but fails to connect. Meanwhile, Will Poulter’s Roderick is little more than a hoity-toity caricature, with his significance so savagely cut from the story that it has little impact at all (to see Poulter at his best you should see Kathryn Bigelow’s Detroit). It’s left to the female cast to carry much of the weight, and thankfully they do it with aplomb. Liv Hill’s sullen-faced Betty gives just enough local twang and awkwardness to show just how out of place the young girl is as Hundred’s last remaining servant. Charlotte Rampling’s Mrs Ayres goes from controlling to ditsy and then full-out deranged, with us barely seeing the shifts until it’s too late. 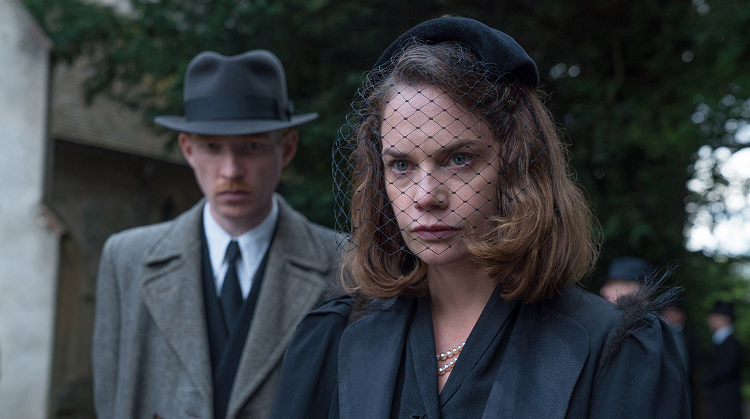 However, it’s Ruth Wilson (above) who is the film’s delight. She transforms herself into Caroline with a pitch-perfect performance, epitomising Caroline’s looks, stance and sardonic wit, while beneath that, and unsaid, lurks the overwhelming tragedy of what Caroline’s life has become. Only in a brief scene do we – and perhaps Faraday too – glimpse how different Caroline might have been given a different life – and, perhaps more tragically, where her heart truly lies. It’s a scene with a lightness of touch that could have been employed elsewhere. A subtle suggestion made at the end of the novel becomes the film’s rather less subtle twist and raises more questions than it answers, unhinging some of the plot. And whilst there’s much richness to the period detail, the authentically dour feel to everything creates a strange distancing that, at times, makes the film hard to fully engage with. A solid adaptation then, and those that have not read the book and who like quietly growing chills may find much to admire; however, those that are fans of the book will perhaps, like Faraday, instead mourn what might have been. 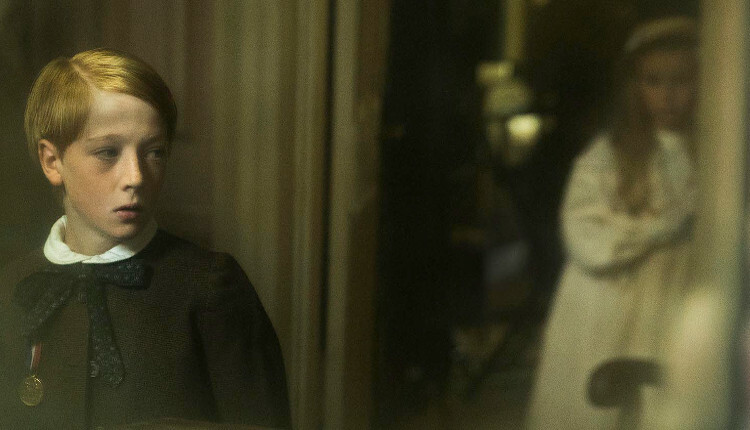 The Little Stranger is out in cinemas now.